In this sixth volume of Alan Axelrod's popular CEO series, he dispenses the wisdom of a female monarch for the first time since his Businessweek bestseller Elizabeth I, CEO. 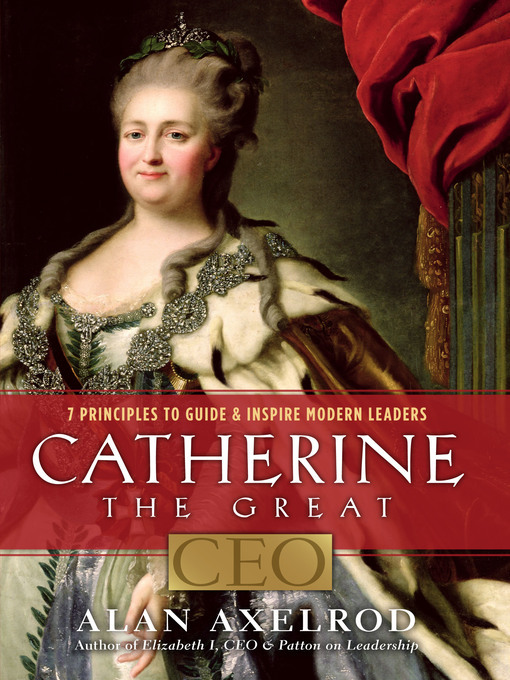 Catherine the Great traveled from Germany to Russia at only 14 years of age, and rose to become one of the most remarkable, powerful, and captivating rulers in history. Axelrod profiles this strong and beloved leader, examining her qualities of intellect, heart, and character, and distilling her words and actions into more than 100 practical and modern leadership lessons. Women, in particular, will appreciate this study of a role model—one of only two Russian tsars ever to earn the title "Great."